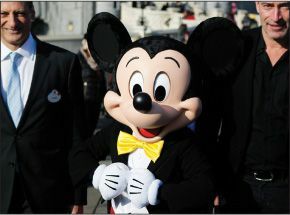 “Disney wants to own a bigger piece of the streaming pie,” said Michelle Castillo in CNBC.com. The entertainment behemoth announced this week that it’s planning to pull its entertainment from Netflix and launch its own streaming-video service in 2019, hosting Disney films and television shows. Disney is aggressively ramping up its plans for online video, with an ESPN streaming service set to launch early next year. To power these offerings, Disney announced, it’s also taking a majority stake worth $1.6 billion in BAMTech, whose streaming-video technology is already used by HBO and Major League Baseball. This move “can’t be a shock to Netflix,” said Peter Kafka in Recode.net. Hollywood studios have been making noise for years about distancing themselves from the streaming giant in order to sell their own content directly to consumers. Companies like Disney once saw Netflix as “a nice-to-have buyer for their old stuff.” They now view it “as an incredibly powerful competitor.” That’s why Netflix has been spending big money to develop proprietary content, “including big-budget movies of its own.” To help populate that pipeline, Netflix this week bought comics publisher Millarworld, the company’s first-ever acquisition. “An already small pool of female chief executives” is about to get even smaller, said Annie Gasparro in The Wall Street Journal. Irene Rosenfeld, CEO of Mondelez International, announced this week that she will step down in November after 11 years leading the snack-food giant, which owns brands like Oreo and Ritz crackers. Women currently hold just 27 of the CEO spots at S&P 500 companies. Rosenfeld’s decision comes at a turbulent time for the packaged-food industry, with iconic snack brands losing shelf space to newer, healthier upstarts. She’ll be replaced by Dirk Van de Put, head of Canada’s McCain Foods. “Martin Shkreli, once dubbed ‘the most hated man in America,’ is now a convicted felon,” said Chris Dolmetsch in Bloomberg.com. The former pharmaceuticals executive, who gained infamy for raising the price of the anti-parasitic drug Daraprim by 5,000 percent, to nearly $750 a pill, was found guilty last week of defrauding investors in an unrelated venture. Jurors convicted Shkreli on three of eight charges, including securities fraud, for misleading investors about the performance of two of his hedge funds. He now faces up to 20 years in prison, although he’s likely to serve much less time. Mazda is trumpeting a new technology “that could make conventional cars a more viable option to electric motors for a longer time,” said Nathan Bomey in USA Today. The Japanese automaker announced this week that its engineers have developed a new proprietary compressionignition technology that eliminates the need for spark plugs, making engines more efficient. With an upgraded engine, a Mazda model that currently gets 30 miles per gallon would be able to achieve nearly 40. The development comes days after Mazda announced plans to collaborate on electric vehicles with Toyota.